La verdad sigue allá afuera. 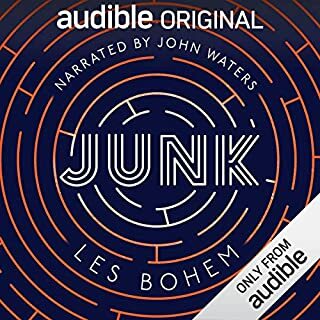 La exitosa serie que hizo que millones miraran a los cielos en búsqueda de ovnis en la década de los 90 es ahora una estimulante ficción sonora, exclusiva de Audible. 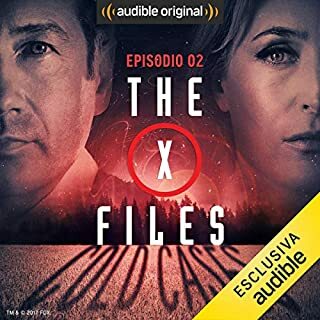 El elenco de las voces latinoamericanas que dieron vida a los Agentes Especiales del FBI, Fox Mulder y Dana Scully regresan acompañados de varias voces del reparto original para una experiencia fantástica. The division has been reopened, but nothing is as it seems in this electrifying follow-up to The X-Files: Cold Cases, starring David Duchovny, Gillian Anderson, and a full cast. "In a world filled with shades of gray, we have to carefully choose which cloak we wear...."
Out of the ashes of the Syndicate, a new, more powerful threat has emerged. Resurrected members of this fallen group - now shadows of their former selves - seemingly bend to the will of someone, or something, with unmatched abilities and an unknown purpose. As those believed to be enemies become unlikely allies and trusted friends turn into terrifying foes, FBI agents Fox Mulder and Dana Scully become unknowing participants in a deadly game of deception and retribution, the stakes of which amount to the preservation of humankind. Based upon the graphic novels by Joe Harris - with creative direction from series creator Chris Carter - adapted specifically for the audio format by aural auteur Dirk Maggs (The Hitchhiker's Guide to the Galaxy, Alien: Out of the Shadows), and directed by William Dufris of AudioComics, Stolen Lives further explores the sonic landscape of Mulder and Scully's paranormal investigations while continuing the epic storyline begun in Cold Cases. Demonic possession. Flesh-eating swarms. Mind-altering hallucinogenic trips. 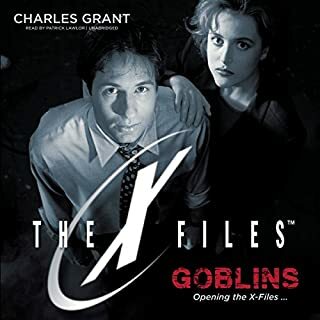 Listeners experience it all alongside Mulder and Scully in this original dramatization that reunites Duchovny and Anderson once more with fan-favorite characters: Walter Skinner (Mitch Pileggi), Cigarette Smoking Man (William B. Davis), and the Lone Gunmen (Tom Braidwood, Dean Haglund, and Bruce Harwood).The pieces have been set in motion. Those who were once savagely sought after will exact their revenge. Until their victims' lives are no longer their own. ©2016 The X-Files ™ & 2016 Twentieth Century Fox Film Corporation. All Rights Reserved. (P)2017 Audible Originals, LLC. 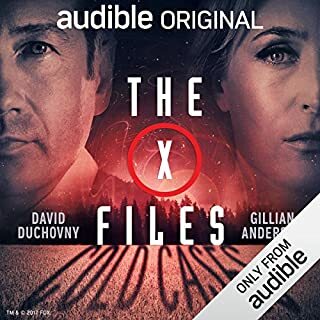 THE X-FILES THEME Written by MARK SNOW, Published by T C F MUSIC PUBLISHING, INC. (ASCAP), Courtesy of Twentieth Century Fox Film Corporation. I️ absolutely loved the banter between Mulder and Scully, felt much more genuine then their interactions in the last tv series. The tongue in cheek comments, especially by Scully, brought back a lightness to stories that made me follow the x-files to begin with. 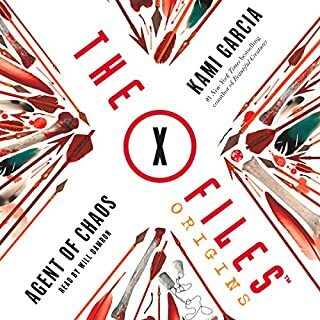 Although there a couple of spots in the stories were it got confusing and it’s unclear why some things are happening (very x-files) the whole production was fantastic. Certainly there are some unresolved plots that just like when tv show was on makes me excited to hear more. Thanks for putting the production together!!! I admit that this is just cheesy, campy fluff, but it’s fun. Sometimes it’s nice to have something playing that you don’t have to listen carefully to, really care about, or think about too much. Look no further than this series. Although I didn’t like this as well as the last one due to a more disjointed and difficult to follow story, it was still fun, with occasional laugh-out-loud moments. Love that the original players are back, playing their original characters. I’ll probably get the next installment in the series whenever it’s available. The stories are great and the performance is outstanding but the content is just so short. I wish there was more or they came out quicker. I need the next book!!! ASAP!! The story is very interesting, very "X-Files-ish" and the voice actors' performances are very well done. What I Liked: As always, the voice-acting behind this audiobook was top notch and very much like watching actual episodes of thes how. It says a lot about how compelling the individual performances were since they totally carry the full weight of the show without relying on visuals or special effects. And man it really takes me back. The story in itself is one that cuts deep as the returned Syndicate members tend to rely on knowledge of the original episodes. Knowing where the various characters came from just enhances the experience and their involvement was written in a manner that made sure to recap who they were without making it seem like knowledge of the older episodes is critical to appreciating the story as a whole. What Could Have Been Better: The core conflict of the story and the reveal of the mastermind didn't feel all that great or impactful in the greater scheme of things. It was an interesting way to bring up an older character and make them matter more maybe but the way it was handled and the many scenes we had with this character didn't add all that much to things. And the drug angle with its inevitable drug trip was amusing at first but eventually just got messy and confusing. And I wanted it to matter more in the long run but it didn't even feel that way either. It was just a narrative distraction that didn't quite pan out as much as I had hoped. This was an excellent continuation from the 1st audiobook in the series. Really enjoyed listening! The X-Files stolen lives is a subpar follow-up to cold cases. though it is a true sequel it embraces the storyline of a classic X-Files season cliffhanger, and that's the problem. it relies on plot devices that we have seen both in the TV and movies and feels extremely cyclic. That being said the quality of production is still on par with the first one. this one feels a bit predictable where cold cases felt more fresh. have to say I could barely listen to the first few chapters. again while thing was about telekinesis. Got fed up of that. however when it got back into the main story of the old files and came up with an interesting conclusion with some old favourite characters it almost redeemed itself. But then that only last for an hour and it was finished! The performances and story in Stolen lives are much better than Cold cases. The cast have found their feet in audiobook format! Am happy to write that all I found wrong with X-files Cold Cases has been largely addressed with this release; interesting stories, better scripts, and the acting is vastly improved. There are still a few instances of emotionless reading of the scripts, but it’s like night + day compared to the previous release. And David Duchovny is back playing Mulder, not that bored chap reading his lines. There are several references to the previous release, Cold Cases, so ideally you would listen to that prior to this, but Stolen Lives are self-contained stories so not essential. I don’t want to ruin the story, but just one observation, why did they call one character Milton Keensey (sp?). I just kept thinking of the Buckinghamshire town with the concrete cows. Will there be further X-files, I hope so. Better than the previous one! David Duchovny sounds bored in places and it's still a little like listening to a 1950s American Sci Fi radio play but nowhere near as cheesy as the last one. It feels a bit more like the X Files. The previous was more like an ironic parody. The voice acting, story and overall atmosphere are all incredible. The finished product definitely lives up to The X-Files quality and legacy. I just want to listen to more now. A life-saver for any commuter. I absolutely love the TV show and when I found out there was more content from the original cast I was extremely excited!! This did not disappoint. It was captivating, fun and a bit scary at times (in a good way). The story, sounds and speech harmoniously created a fully immersive experience that I thoroughly enjoyed. I sincerely hope they make more of these. Stolen Lives is brilliant. I loved it as much as Cold Cases. This audible original features some new storylines as well as continuing events from Cold Cases. I loved the way the story concludes. Some crazy stuff happens. I was hooked from start to finish. Like Cold Cases, Stolen Lives features performances from stars of the show and sound effects to make it a very immersive experience. I loved listening to my favourite characters from the show. One of my favourite characters, Gibson Praise returns. In the show, he is a small boy with alien DNA who has special gifts. He’s an adult now and completely changed, becoming quite dangerous and unstable. What happened to the sweet little boy? I got shivers. Stolen Lives has an open ending leaving room for more audible original dramas or maybe this will link to the new TV show next year? Loved it. can't wait for the next installation of the series. They should continue to do these in between the TV series. I wish more of these were available, they make my commute enjoyable! Well written and expertly performed, just like the show. Highly recommended. 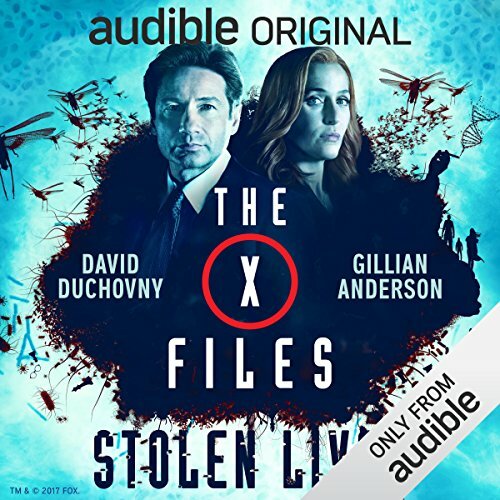 Original cast made the story really come to life as opposed to other X Files audiobooks, which were dead due to being narrated by others. Story might have being good but fell flat listening to their droning monotone voice/s, which lack impact. Will definitely buy any with original cast actors!!!! 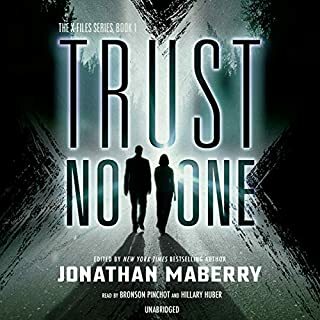 I'm a big X-files fan and enjoyed the cold cases book but this one was a chore to get through, the stories were all over the place and hard to follow. Performance was fine but the story was a let down.